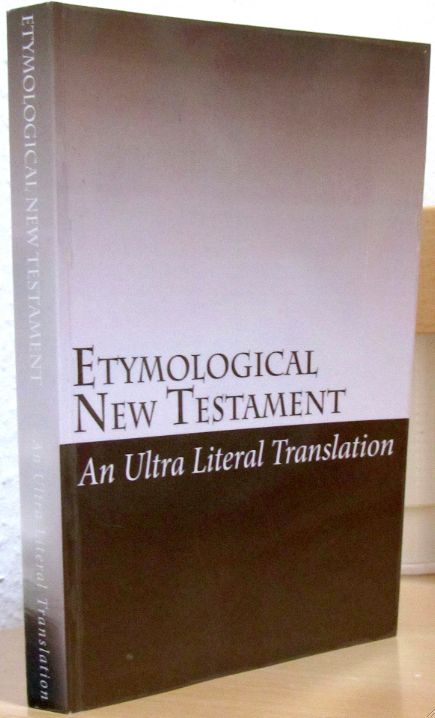 For sample verses from The Etymological New Testament, click here. Contents: The New Testament. – Introduction – Notes on Matthew 1 to 3 – A Special Note to the Reader. As to the translation, the canon is brought in its traditional order. The longer Mark- ending 16:9–20 is put in square brackets. The story of the woman "down–gotten in adultery" bears this remark: »Some manuscripts contain John 7:53 – 8:11«. 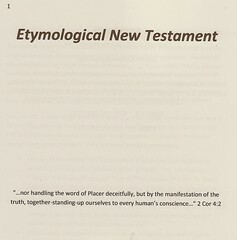 – Enough of the original ASV's Elizabethan English has been retained to provide some beautiful "biblical English" phrases, like "thee", "thy", "whence" etc. 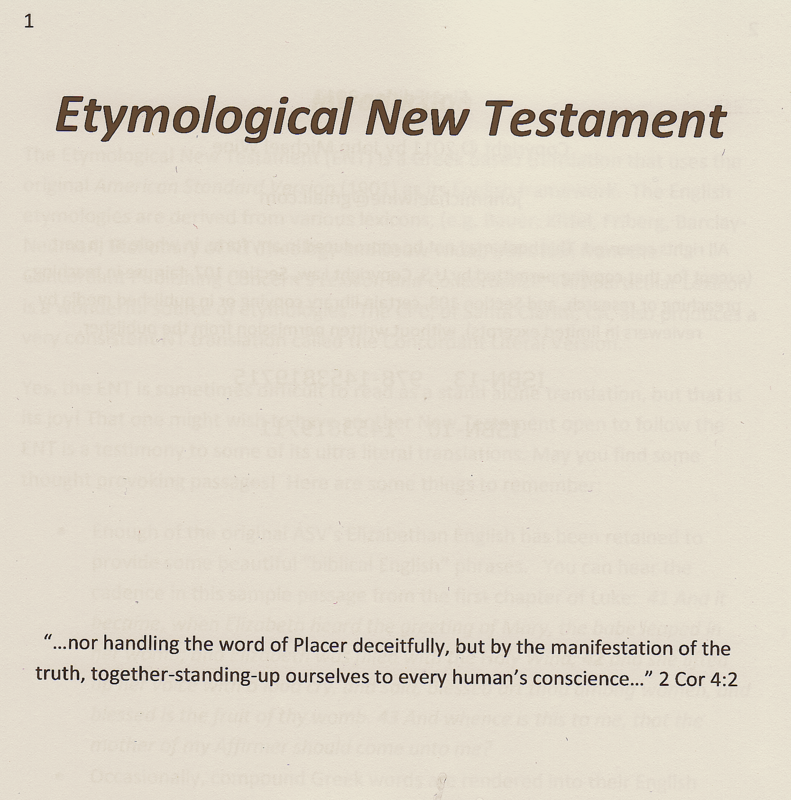 The reader / learner will be asked to get used to some unusual, to say the least, word conceptions: Holy Wind, upward stand (cross), placer (for the Greek THEOS, God), placer with us (for Immanuel), to give only a few instances of this quite unorthodox translation.